OLD PARKED CARS. 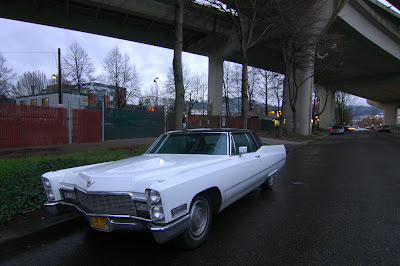 : 1968 Cadillac Coupe De Ville. 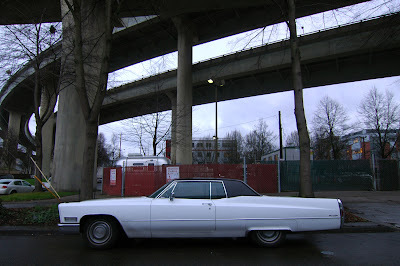 1968 Cadillac Coupe De Ville. 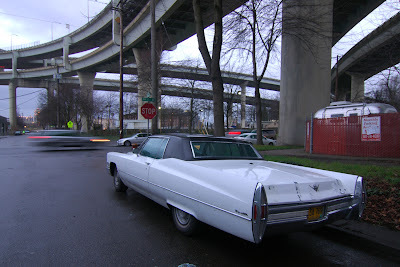 Speaking of Bridgetown, funnily enough I think Cars Of Bridgetown posted it. personal transportation. I cant believe its got two doors. It's bigger then my office. you could probably land an F-111B on the rear deck of that thing. Wait. Isn't the the Grimm's trailer behind it?